Ford has just announced a new limited-edition Heritage GT, and we think it's one of the best looking GT's yet. The new edition honours the famous GT40 driven to victory by Dan Gurney and A.J. Foyt at Le Mans in 1967. 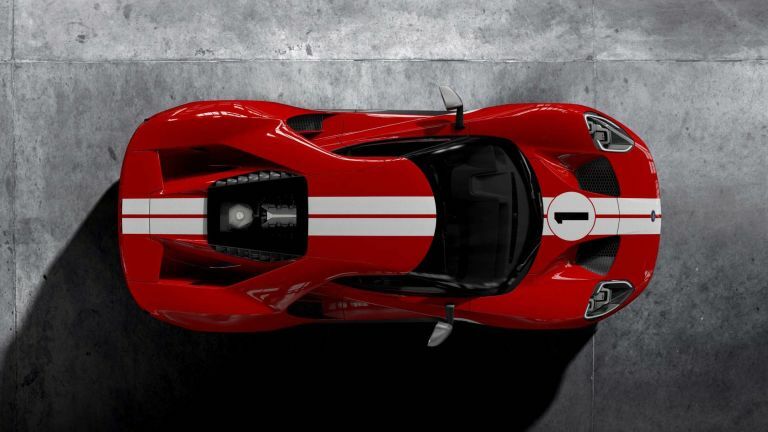 The Ford GT ’67 Heritage Edition features a high-gloss Race Red paintwork with Frozen White stripes and No. 1 decals on the bonnet and door. It also includes the exposed carbon package and 20-inch one-piece forged aluminium wheels, black wheel nuts, red callipers and silver rearview mirror caps. The interior features a new leather trim for the carbon fibre seats, with red accent stitching, which also carries over to the steering wheel. The seat belt webbing is now red and the paddle shifters are anodised grey. Finishing off the modifications to the ’67 Heritage Edition are a unique serialised identification plate, plus exposed matte carbon fibre door sills, air register pods and centre console. “In creating a worthy successor to the ’66 Heritage edition, we logically looked at our next historic Le Mans victory with the all-American team of Dan Gurney and A.J. Foyt,” said Dave Pericak, global director, Ford Performance. You can check out the Ford GT ’67 Heritage edition on Ford's website, and if you want one you better act fast, because they're only selling "limited quantities".